Troy has been an amputee for five years and had experienced just about everything in terms of prosthetics and prosthetic service. His drive to excel as an amputee surpassed the level of prosthetic care and service he was receiving. Like many amputees, he became frustrated with his prosthetic outcomes and decided to start searching for something better. His search led him to Mark Logue of Tampa Bay Brace & Limb. “The word I would use is “Unbelievable”, says Troy, “I mean, it was just so far removed from what I was used to. “Everywhere I've ever been everybody’s been friendly and want everything to go well, the capability just wasn’t there.” continues Troy. 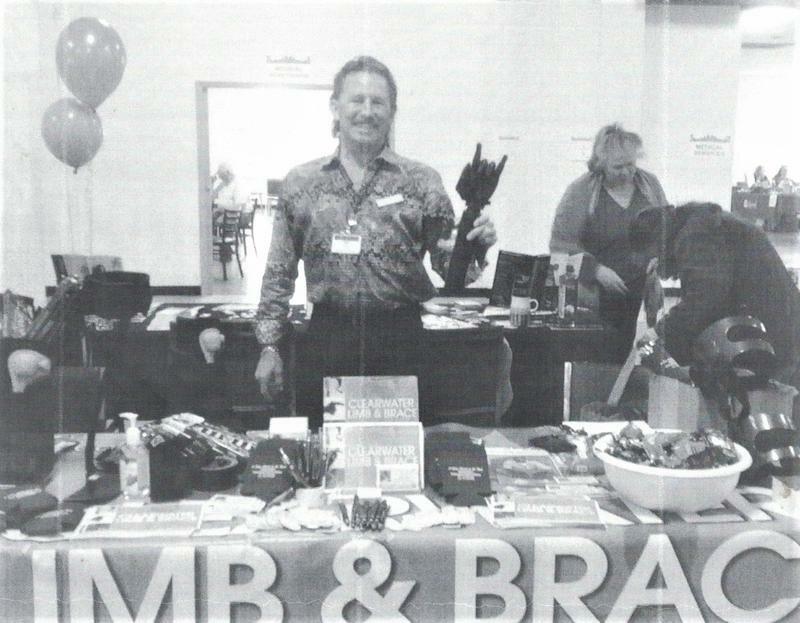 Mark Logue, CPO, owner of Tampa Bay Brace & Limb and Clearwater Limb & Brace, is recognized for his innovative approach in treating children and adults. He offers a complete range of superior quality orthotic, prosthetic and pedorthic services in Clearwater, Florida. The goal is to provide only the highest quality care, services and devices to facilitate each individual's rehabilitation. Practictioners are ABC-certified and C-Ped practitioners. The certification by the American Board for Certification represents the highest accreditation in the orthotic and prosthetic profession. Our custom-fabricated orthopedic braces and artificial limbs represent the most advanced technology available. Our fully equipped laboratory allows certified staff technicians to prepare, modify and replace all types of orthotic and prosthetic devices from the highly complex to the most basic. On-site fabrication permits strict quality control standards, precise fitting of custom devices and delivery within a shortened time frame. Army veteran Lloyd Brooks loves to ride his around his Largo neighborhood. Now, he’s cruising on a new set of wheels. Brooks is happy to be back on the road after his only mode of transportation was stolen about a month ago. He was devastated. "It was the only way I had to get any groceries or anything," said Brooks. He lost his leg in a motorcycle accident in 1990 and wears a prosthetic leg. 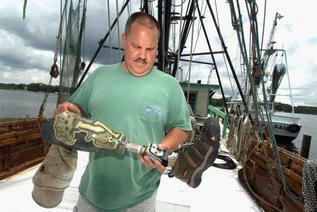 Mark Logue with Clearwater Limb and Brace has been fitting Brooks with prosthetics for about 15 years. He was in the process of fitting Brooks with a new prosthesis custom made to fit the bike when the bike was stolen. Logue felt compelled to help. "I set up a joint account so donations that could be put into it in hope that we would get enough money to buy a bike," said Logue. Logue said response from the public was generous enough to get Brooks a new, upgraded, customized version of his old bike. It also helped pay some bills and buy household necessities. Brooks was surprised with his new trike and a new prosthesis this week. Logue said the bike has a trailer to haul groceries and is customized so Brooks can enter and sit down easily. The pedal and brakes are also customized.Brooks loves his new ride and wants to thank everyone who helped make it happen. "It means the world to me,” he said. “I can get out and go now." 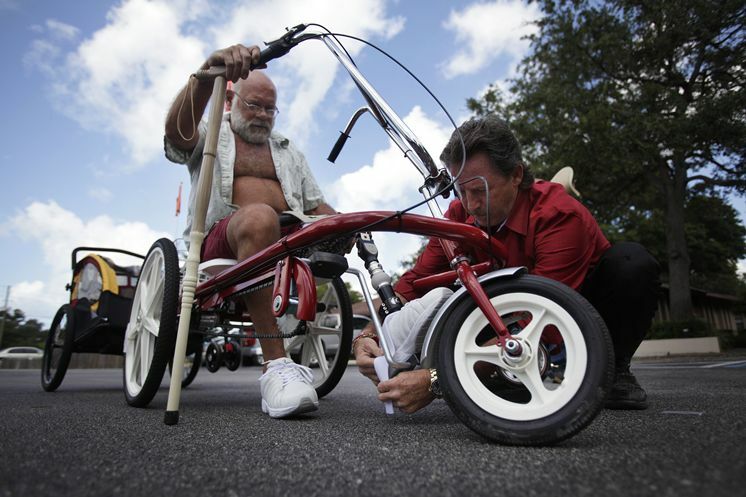 Brooks has big plans to break in his new wheels, including taking rides farther than the grocery store and testing out the Pinellas Trail. Nick Wilkins found a duffel bag with much more than clothes in it. "We pulled out these prosthetic limb liners and there's three of them and we were quite surprised," Wilkins said. Wilkins hopes to reunite the bag, especially the prosthetic parts, with its amputee owner. Mark Logue with Clearwater Limb and Brace says the owner will desperately need these pieces back. "They are suspension liners, commonly used for a below knee prosthesis. They’re made out of silicon, they protect the limb, but they also hold the limb on. 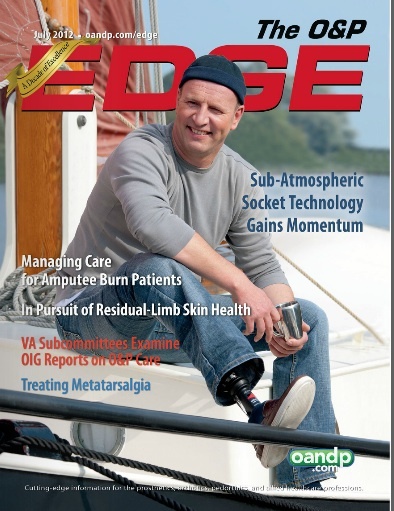 Without the suspension liner, you’re not able to hold the prosthesis on or protect your limb," Logue said. 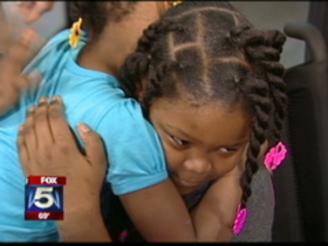 A 9-year-old nearly died while saving her sister from an oncoming truck. Anaiah Rucker was struck by a truck while she and her sister walked to meet their school bus in Madison. Her injuries came as she pushed her 5-year-old sister Camry out of the way, taking the full impact and nearly losing her life. "When she first woke up, her first words were, 'Where is Camry? How is Camry?" said Anaiah's mother Andrea Taylor. Her courage, sacrifice, and bravery touched strangers. The small statured, big hearted girl was greeted like a hero with cheers and applause by those strangers outside a Greensboro, Ga. sporting store on Saturday to get her reward. Worth close to $30,000, the new leg was ready. And while Alaiah is ready to be an active youngster once again, her body will need to catch up and heal a bit more. to Florida for an all-expense paid vacation compliments of Clearwater Brace and Limb. Our facility offers a full spectrum of orthotic & prosthetic services. Patients are thoroughly evaluated, after which we can recommend the most suitable rehabilitative device to meet the person's needs if you wish. Pre-fabricated devices are carefully fit. Custom orthoses and prostheses are artfully fabricated in our own laboratory to ensure precise conformity, comfort and maximum function. Tampa Bay Brace & Limb is equipped to service pediatric, senior, and sports orthotic and prosthetic patients. The following is a partial listing of orthotic & prosthetic devices and services offered. Please call our office if there is another device you need or wish to prescribe. are Medicare, Medicaid, VA, HMO and MCO in-network providers along with accepting workers compensation claims. to house calls and after hours office appointments as needed on a case-by-case basis. We are committed to our patients' welfare on a continuing basis. Our responsibility to each patient does not end following the initial fitting. Follow-up visits make certain the device is performing properly. Adjustments, modifications and repairs are done as necessary. We treat the whole individual to insure his or her focus is on abilities rather than disabilities. We will also be happy to stock special components or devices for you so that our staff members are better prepared to serve our patients. Our facility is handicapped accessible and offer convenient parking. Comfortable reception areas, private fitting rooms and well-equipped training areas all add to a relaxed professional atmosphere. “When you walk into Tampa Bay Brace & Limb, you just get the feeling that the possibilities are a whole another ballgame, you know, they're just endless there.” ​Troy and Mark worked together to get the right fit and the right componentry to allow him to do the everyday activities that he desired. 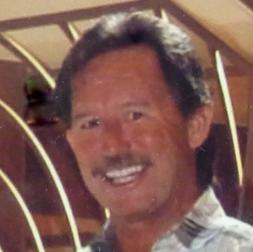 He’s an avid fisherman and outdoorsman and is dedicated to spending time with his family. Having a prosthesis fit correctly and assist him in accomplishing these daily activities was extremely important to him.